This is a great way of keeping tabs on your hottest leads and identifying the cold ones! 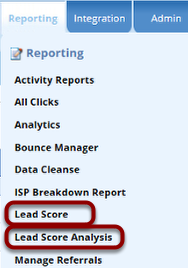 Create a Lead Score category named ‘Electronics’. Leave the default score values as they are but change the score aliases as follows. Remember to click on ‘Update’ for each one. (In a live scenario these scores are likely to be higher). Repeat the above process to create a new score named ‘Home’. 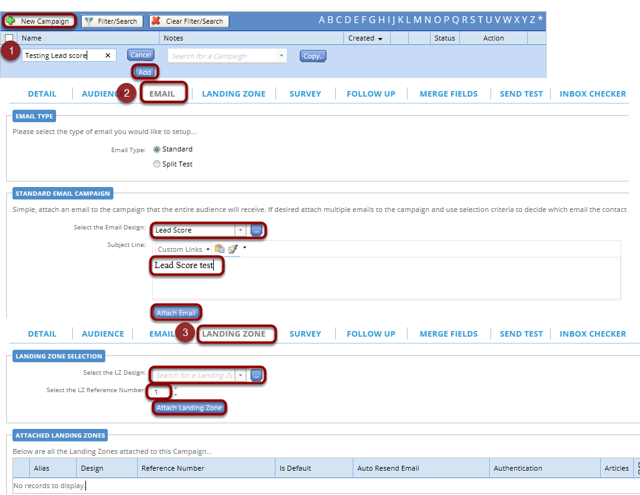 Create a new email and insert the template of your choice create three articles to link from. 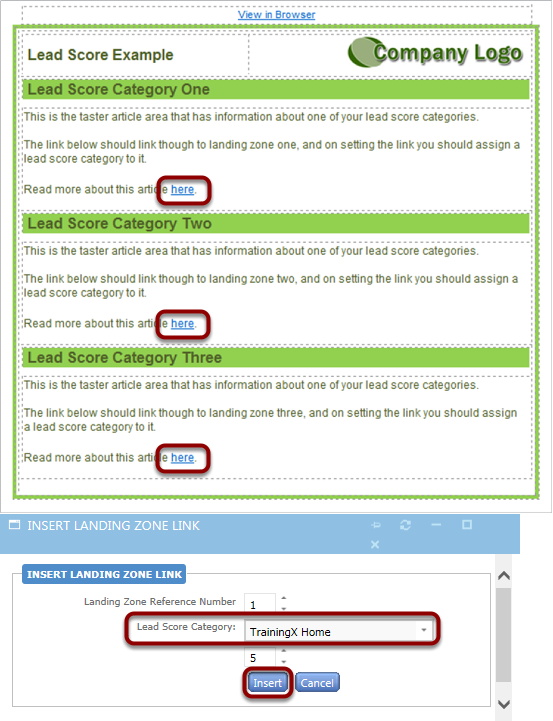 Set the first two article links to landing zones 1 and 2, attaching the same Lead Score categories of Electronics. Set the third to Landing zone 3 select a lead score category of Home. 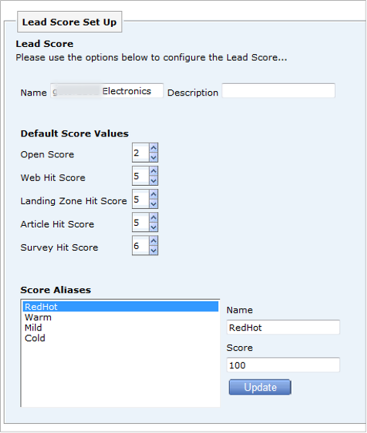 Create a Landing Zone using a template or from scratch supply the text of "This is a Lading Zone used for testing Lead Score"